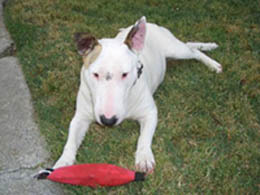 Happy Tails | Bull Terrier Rescue, Inc. Please watch for many more Happy Tails! in our lives and hope she has many years of happiness in our home.